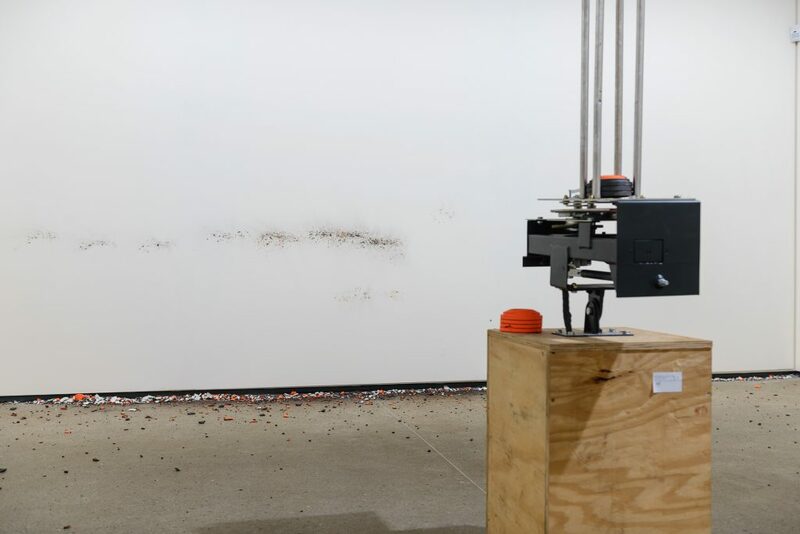 Borrowing its title from Shannon Ebner’s installation The Electric Comma, this exhibition focuses on changes in language, perception, and understanding in the age of artificial intelligence. Through varied practices and from different backgrounds, participating artists deal with the negotiations between the conscious mind and the currently pervasive learning machine. 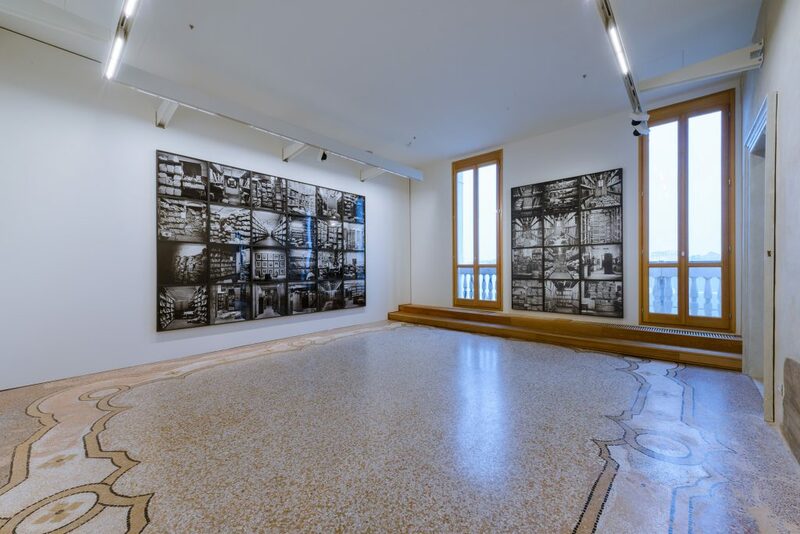 The works in the exhibition imagine numerous possible pathways of exchange between human and nonhuman, ranging from the poetic and intuitive to the algorithmic and analytical. 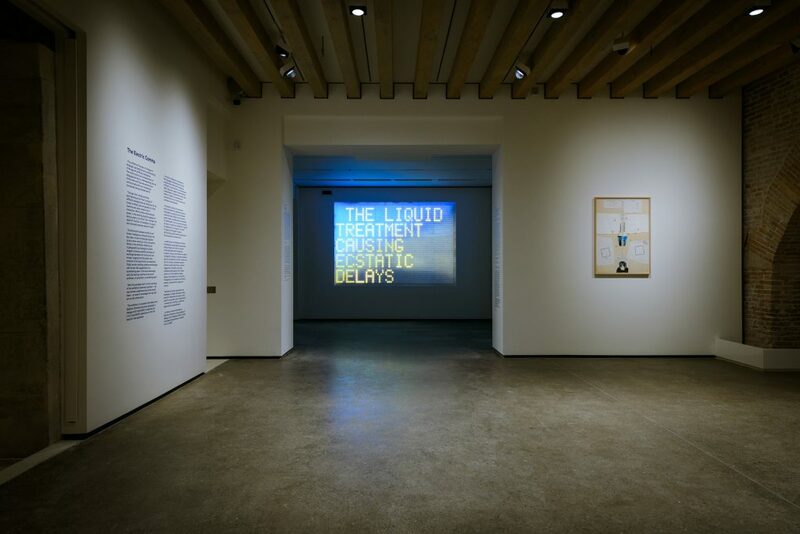 A number of the works on view highlight the various ways in which we communicate with learning technologies, including the ecological implications these technologies might have. 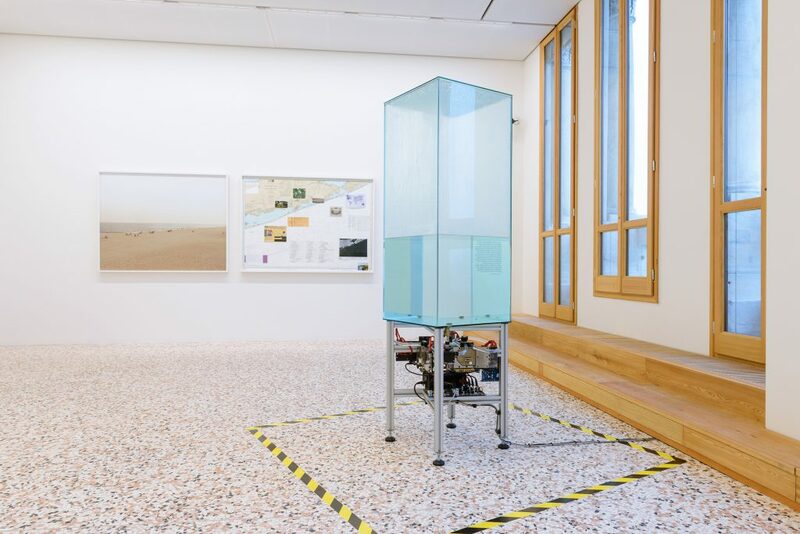 Paralleling cryptographic and biological systems, several works point out or imagine living infrastructures for artificial life. Andrey Shental’s video installation Descent into Fungal features fungal mycelium networks that enable connected plants to communicate in addition to transmitting nutrients and energy. While certain forms of life benefit from this network of connections, others fall prey to it. Today, a growing superorganism of algorithms and databases increasingly filters how we perceive, learn, communicate, and remember. Sprawling around the globe like a fabric of mycelium, today’s digital infrastructure has more resemblance to living systems than to outdated analog technologies. These days the distinction between artificial and human intelligence is becoming less and less clear cut, increasingly appearing to be a mere construct of our perception. In Pedro Neves Marques’s short film The Pudic Relationship between Machine and Plant, the lines between synthetic and organic life are further blurred. A robotic arm grazes the leaves of a Mimosa pudica plant, a hypersensitive species that instinctively closes its leaves in response to the crude touch of the machine. As the majority of our collective histories, memories, and imaginations are being digitized, the impacts of this activity on the human condition and on our planet as a whole remain underestimated. Encountering Dayanita Singh’s File Room is like glimpsing a frozen, forgotten world of paper. An archive of archives, this series of photographs depicts seemingly infinite stacks of records and memories stored within India’s municipal offices. An elegy to the disappearing paper trail, File Room is a stark reminder of today’s sea change in humanity’s relationship to memory. The way stories are told, records are kept, and histories are constructed no longer follows the same trajectory as before. The pervasive presence of the screen as a filter for our experience of reality has radically changed our world perception and social dynamics. 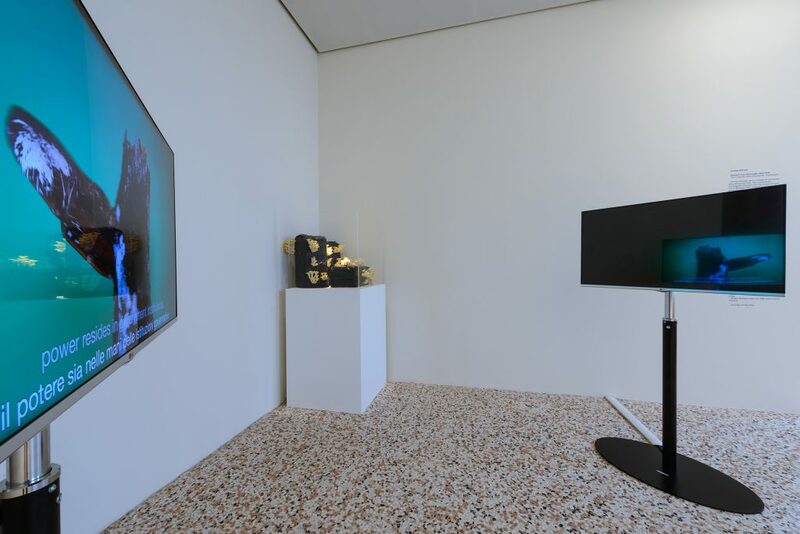 Daniel Keller’s sculptural video installation Soft Staycation (Gaze Track Edit) points not only to the ways we look at the screen, but also to the ways the screen looks back at us. 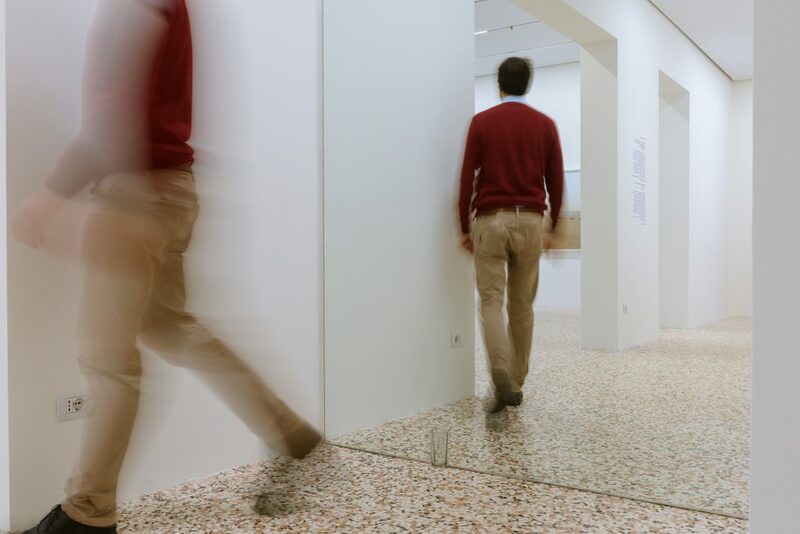 To create this work, Keller uses a gaze-tracking technology that follows the eye movement of a group of viewers as they stare at a screen. Here, Keller defines zones of attention in response to a compilation of advertisements found online, highlighting the hidden ways in which technologies effectively guide our perceptions. Keller is part of a young generation of artists who are digital natives, born into our hyperconnected world. 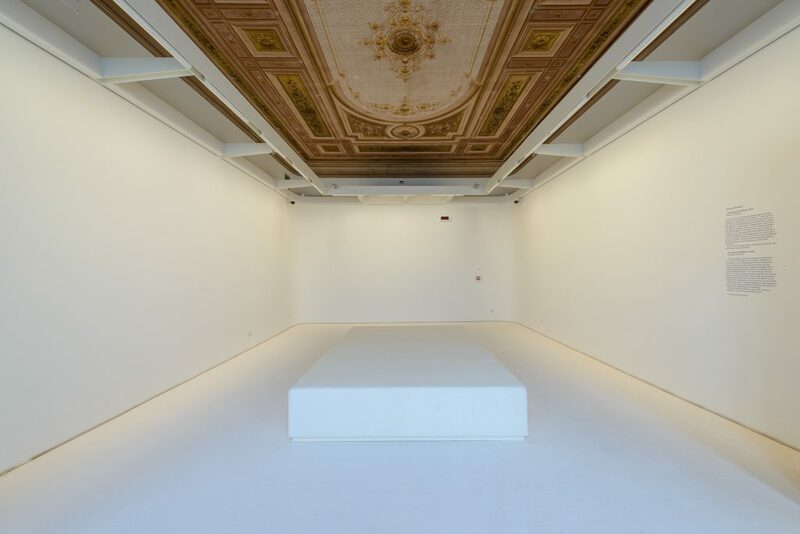 With this paradigm shift in mind, a facet of this exhibition examines cognition and the way humans interpret the world around them—an area of knowledge that we still don’t fully understand. Suggesting the impossibility of finding a stable definition, Jonathan Monk’s neon parenthesis, Something Contained, Removed, greets viewers. 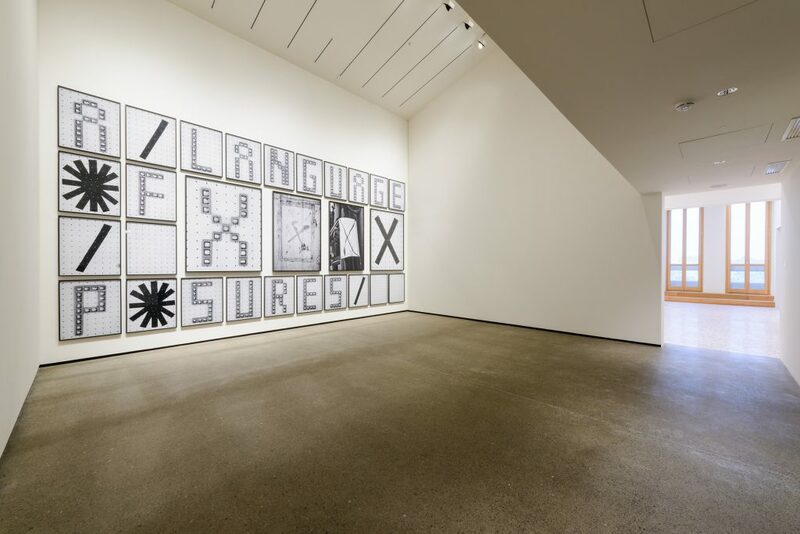 The construction and interpretation of language is key in understanding how our minds work, how we perceive and communicate with an increasingly connected and automated world. In the thirteen-line poem that forms the basis of Sharon Ebner’s The Electric Comma, written language is transformed into abstract and more intensely visual form. 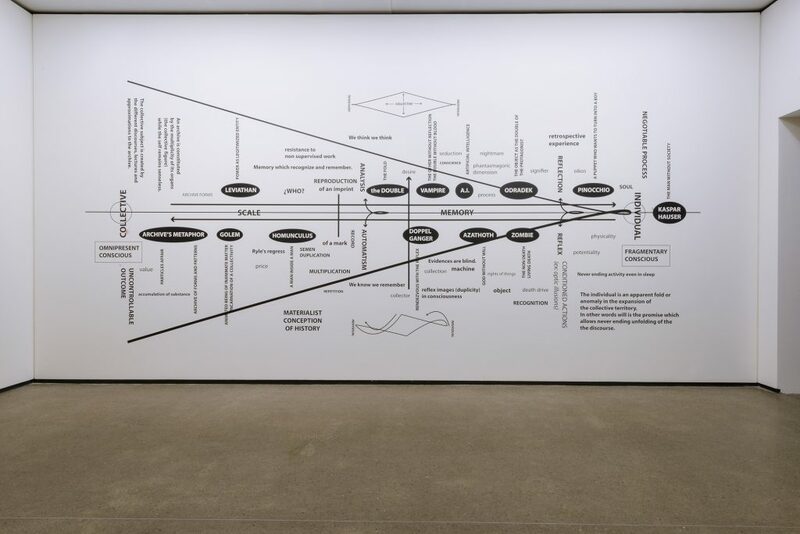 Turning unfinished poetry into image, Ebner’s process exposes the nonlinear, often erratic way in which we experience language as open to countless transmutations. Today, we create complex technologies with human-like capabilities at an accelerating pace. Is this new relationship with the learning machine one of symbiosis, parasitism, or something else? 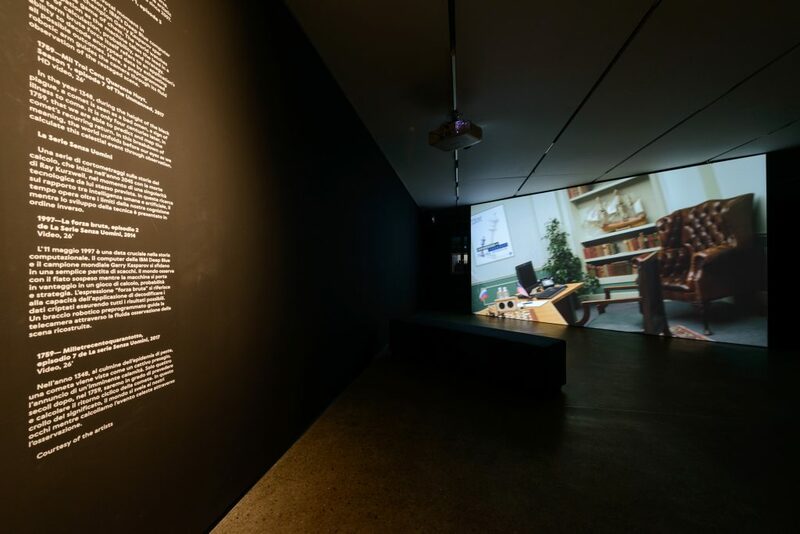 A number of works in this exhibition ask directly: What part of the human intellect have we passed on to the machine and what remains lost in translation? With its feral computational power, is the learning machine capable of being a poet or an artist? Can the machine harness the space of intuition, of metaphor, of poetry, and ultimately become aware of itself? This exhibition is curated by Pete Belkin and Katerina Chuchalina.